Teams of 3-6 players compete in this Swedish lawn game in a 64 team tournament. A lawn game born in Sweden, Kubb is played on long Scandinavian summer evenings and bitter winter days. 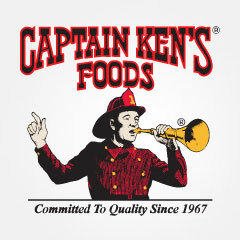 Now played throughout the world, the Captain Ken’s Kubb Tournament is the largest winter tournament in the world. All participants are welcome for this one-of-a-kind event no matter their skill level or experience. Fire pits will keep players and spectators warm. Food, Surly beer, hot beverages, and bathroom facilities are available nearby throughout the day. Tournament pitches will be set up near the Big Tent in the Loppet Village. First time attending a kubb event or even your first time playing the game kubb? No problem! Check out this helpful FAQ. Pitches will be available the morning of the tournament to learn and play the game. Find one of our Kubb Ambassadors who can explain the game and get you started on the basics before matches start at 10am. Individuals may only register and participate for one team in one tournament. Playing for another team in your own tournament or the other tournament will result in disqualification of both the individual and team. Recommended for teams familiar with kubb who aim to beat the best and compete for the Frostbeard Trophy. The Championship Kubb Tournament will involve group play and a knockout bracket. Team captains will receive specific format information after registration closes on January 29th. Recommended for casual teams or those less familiar with the game of kubb. All are welcome in the Lilla Loppet Kubb Tournament! The Lilla Loppet Tournament is same kubb tournament you’ve come to know and love since 2012 – free Surly beer ticket and all! Teams are placed in groups of four. Teams must consist of at least three players with a maximum of six players. Not all players on each team are required to throw on every turn, however no single player may throw more than two batons. All matches will follow U.S. Championship Rules. Teams will play three matches in the Round Robin, one against each of the other three teams in their group. Teams will then be seeded into a bracket based on their Round Robin Results. Teams losing their first knockout match will move the consolation bracket. Teams are guaranteed 5 matches. In keeping with our goal of offering a unique kubb experience while maintaining a competitive tournament for participants, time restrictions are necessary to ensure the semifinal and final matches are played on time, coinciding with the Luminary Loppet. Matches not completed by their designated ending times will be determined by the tiebreak rule. All Championship Bracket rounds will start at the designated times listed on the schedule even if both teams from the previous round have advanced. The purpose of this is to avoid excessive downtime for teams if one side of the bracket is getting too far ahead of the other. This will also allow teams finishing early to warm up between matches knowing when their next match will begin. The following explanation is to break a tie in the Round Robin stage to determine which two teams move on to the Championship Bracket if, after all Round Robin matches are complete, a tie exists between three or more teams. Note that the first tiebreak is not games won or head-to-head. Teams A, B, and C will compete in a throw-off to determine which teams advance. A throw-off consists of each team throwing 6 shots from their base line trying to knock over as many kubbs as possible. The two teams knocking over the most kubbs will advance to the Championship Bracket. In this example, if Team A knocks over 3 kubbs in the throw-off and Teams B and C both knock over 2 kubbs, Team A will advance to the Championship Bracket as the group winner. Teams B and C would then throw again with the winner moving on to the Championship Bracket as the group runner-up. As is the case for match play, no player may throw more than two batons during a throw-off. The registration fee is per team and is paid by each team’s captain. Non-captain team members must register for $0, linking their registration to that of their teammate. Registration for the Loppet Kubb Tournament includes free access for all team members to the REI Luminary Party. Registration closes January 2th at midnight; there is no in-person registration. There is no physical packet that needs to be picked up for any Kubb teams. All information regarding schedule and brackets will be emailed out the week of the event, and any needed materials will be given out at the event.